Who helped you find a direction, got you thinking along different lines about your future, and built your confidence along the way? I am at the stage of life where I enjoy looking back and attempting to answer these questions. It makes me realize how fortunate I have been at every period in life to meet someone who pushed me to try something new or influenced my life choices. I was inspired to write about this topic by an essay by Dr. Nobuo Haneda in his book “Dharma Breeze.” He named three sources of inspiration that led him eventually to his position as director of the Maida Center of Buddhism in Berkeley, California. Two out of the three — one being famous Russian writer Leo Tolstoy — were not people he had ever met. For the sake of keeping readers from using this blog post as a cure for insomnia, I’m going to limit myself to only a few examples of those who provided the inspiration — or a kick in the behind — to me. I don’t remember the name of the first one I thought of. He was known as the Colonel. I met him while working in a low-paying, dull job in a college admissions office to save enough money to travel to Europe. We couldn’t have been more different. I was twenty-one, going through my hippie stage, and he was much older. He came across as stiff and formal. Four months later, after quitting my job and going to Europe, I returned home to visit the people I had worked with, including the Colonel. I had no more than greeted him when he said, “I imagine you need a job. There’s an opening for a much better-paying one at the community college. I know people there. If you’d like, I’ll call now and give you a recommendation.” This unexpected gesture of kindness helped set the course for my future as an administrator in public education. Keeping with Dr. Haneda’s experience of choosing authors for inspiration, I choose Betty Friedan as my second infl. She was a leader of the feminist movement and author of The Feminine Mystique. Many years later, I don’t remember anything from the book except that she said men could wash dishes too. This was a huge revelation. My husband and I were living together at the time but not married, and I did the housework. She helped form the basis for a forty-five-year (so far) marriage in which we now actually fight for the job of washing dishes. My third choice is my husband’s Spanish teacher at the University of Washington. He signed up for her class after we’d taken a trip to Mexico. At the end of the school year, she convinced him that his language skills would improve faster if he immersed himself in a Spanish-speaking culture. I had taken Spanish for five years in junior high and high school, so I was game to join him for this experiment in immersion. 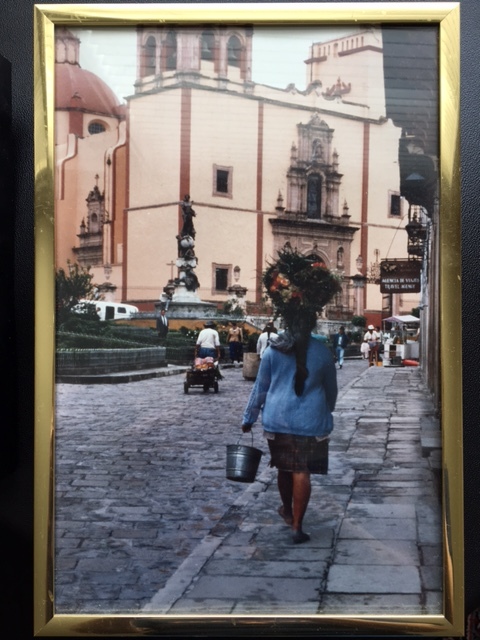 We spent a month in a language school in Mexico and lived with two Mexican sisters. The next few summers we chose a school in another town and lived with a woman and her children, someone we still consider a sister and keep in touch with today. Thanks to the Mexican adventure we made friends in Texas and California, and have had Mexican guests visit us here. I was able to use my Spanish skills on the job and made many new friends through my work with Spanish speakers. Remembering the people who impacted your life is a worthwhile activity. I’m still smiling as I think about those summers in Mexico and all our adventures there. 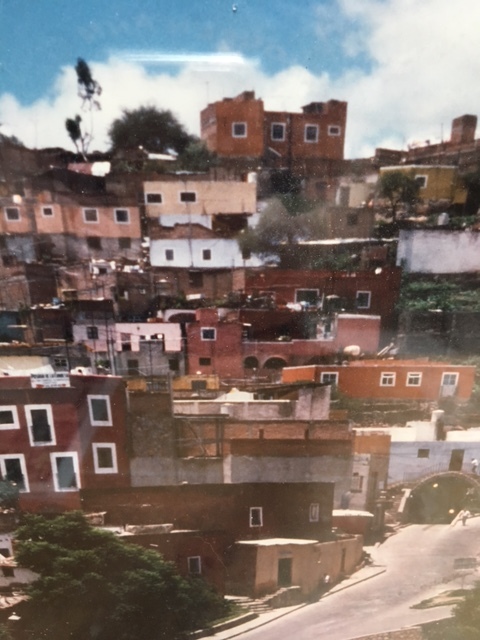 This entry was posted in inspiration, memories, personal reflections, travel and tagged learning Spanish, living in another culture, living in Mexico, people who change your life. Bookmark the permalink. 10 Responses to Who inspired you? You’ll have to give Dr. Haneda a copy of this! And how fortunate you have been. Thank you, Ann, for writing about those who gave you inspiration and helped curb the choices and directions you chose in life. It’s really nice to take a moment and truly reflect–I shall do just that and use your topic of today to reflect on those who inspired me as a write in my journal. Thanks! I plan to keep reflecting on this. I’m sure many more names/events will come to mind and it’s fun to think about. I love the story about going to Mexico and immersing yourselves in the language. I wish someone would have prompted me to do something like that. It was such a valuable experience. Living in another culture for even a short time really opened my eyes. Thanks for your nudge to think back on the ones who have made a difference for me. While you have not said it, I believe you too have inspired and nudged others to move in positive directions. Thanks, Evelyn. A few people have said I inspired them. It’s something I should remember to tell others too. Hmmm, inspiration? For so many reasons… my parents; an incredible 5th grade teacher. And, among a few others, there was you, Ann. From your very first day in the BSD Public Information Office until my last one there your generosity/innate ability to designate & approve made those 10 years among the best of my ‘career.’ Oh, of course…There were ALL those laughs too!